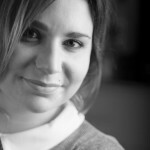 Frog & Roast Beef films is a female lead independent production company launched by Frenchy (or Froggy) Vanessa Pellegrin and her British team. Based in South London, the company started to gain success after the release of ‘Now’s the Time’, the official video clip of the ‘No More Page 3’ Campaign in 2014. Since then, Frog & Roast Beef Films is involved in different types of productions from corporate to promotional clips, documentary films, shorts and features. During the Cannes Film festival 2018, the company won the cash prize of 5000 euros to produce their second short film ” SIEDA“. Born in France in 1986 and raised in Morocco, Vanessa started to work as a Journalist and became specialized in investigations and reports about current affairs, political conflicts and social issues. First in press and then in TV and broadcast. She came to live in London in 2009 and started to work in Film Production. She Produced and Directed her first film about the influence of Corporations on the freedom of the media and the press, ‘Ownership Rules’ between 2011 and 2012. Since then, she got involved in the production of short films such as ‘Abramacabre’ by Dominic Rossetti (2013) and ‘Nasty’ (2014) by the award winning director Prano Bailey-Bond. She directed her first short film “My Best Enemy” in 2017. “SIEDA“, which won the best script cash prize at Cannes Film festival is her second drama piece as Director and Co-producer. Beverley is a Scottish Senior producer, writer and journalist. She worked at STV Group for eight years and successfully contributed to the development of TV series such as “The Ice Cream Machine” in (2005). 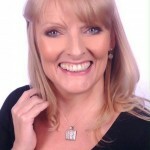 Beverley has an Extensive background in news and documentary, as well as children’s, drama and corporate production. She produced and directed location and studio based shows. She also has managed large production teams. She is the 2011 IVCA Award winner (at Inside Job Productions) thanks to the promotional drama for Barclays CSR and NACRO which is currently used within the educational services of UK prisons., She conceived and produced UK’s first original mobile video drama series (CJAQ) and was a BAFTA Scotland Judge (documentary/current affairs) between 2002 and 2003. Although German, Arabella sounds like a proper British person and is undoubtedly part of the “roast beef” side of the crew! Former producer at the TV channel ARTE, Arabella’s background is documentary. She started to provide production assistance and services to major international broadcasters, newsdesks and production companies, e.g. Al Jazeera, ARD, Arte, BBC News, BBC World, Bloomberg, CCTV, CNN, CNBC, Discovery, ERT, France 2, France 24, MSNBC, NBC, NHK, ProSieben, Rai, Reuters, SAT1, TG3, Times Now, TVE, ZDF and others. She has also produced “The end of meat”, a groundbreaking feature documentary shot by Filmmaker Marc Piersche, envisioning a future where meat consumption belongs to the past. Currently working at the British Film institute as a Technical Content Coordinator, she collaborates on most shorts and features produced by Frog and Roast Beef films. Frog & Roast Beef films has the great privilege to collaborate with talented professionals to deliver the best quality films. Eleanor Mons ( Writer) is the behind the amazing script of “SIEDA” and the true winner of the shorts TV pitching contest 2018. Ella ( as she likes to be named), works also very often with the company as script supervisor…when she is not writing compelling stories! Dominic Rossetti (Assistant Director) is a Digital Cinema Trailer Technician at Deluxe Digital London. He is also the owner of Eternal Media Productions, a full service production company catering to all film and media related materials, from feature and short films to advertising and corporate endeavors. Ben Thompson ( DOP) is the main cinematographer at Frog & Roast beef films. Expert in corporate films and advertising, Ben is also an amazing professional to work with. In 2018, he was nominated for best cinematographer at the Madrid International Film festival for ” My Best Enemy“.